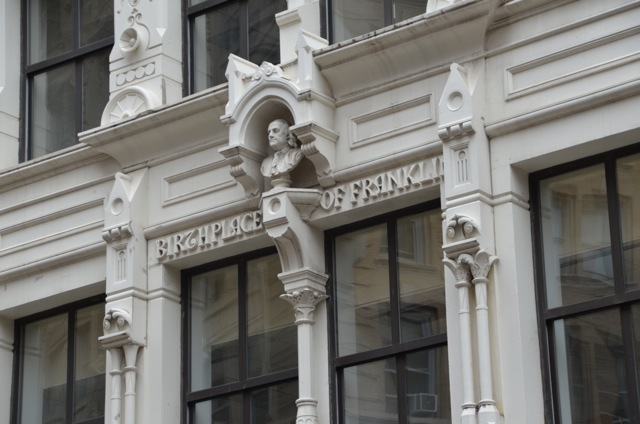 Franklin’s birthplace is location right across the street from Old South Meeting Houseon Milk Street. It is of course not the same building he was born in, that was a small wooden house that was gone a long time ago. 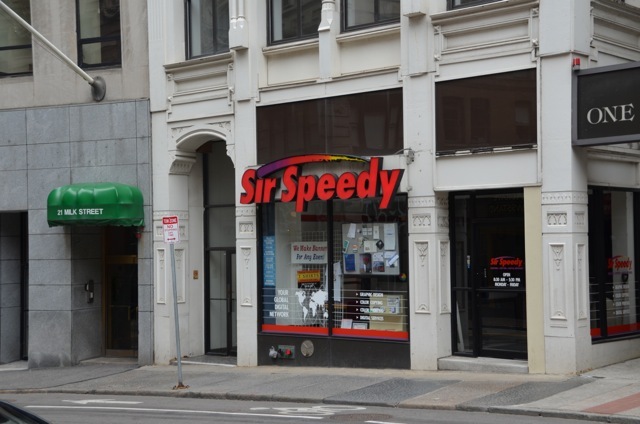 The current building also houses a Sir Speedy print shop which is kind of appropriate as Franklin himself was a Printer.